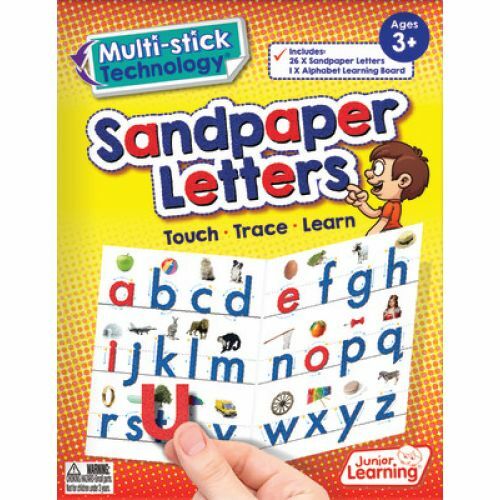 This set of 26 sandpaper letters use multi-stick technology so that they can be applied to the learning board (included) or other surfaces such as a whiteboard. Place letters in their correct sequence for learning the alphabet or simple word building. And can be used with crayons for rubbing activities. Letters are color-coded, with consonants in blue and vowels in red.